Pubic hair grooming trends have shifted in part due to changing standards of attractiveness and also due to media popularizing the concept of pubic hair removal. There are risks of injury associated with pubic hair grooming, whether minor such as razor or wax burns, folliculitis, and irritation, or more serious such as laceration, skin infection, and even sepsis. Previous studies have shown that ER visits due to grooming-related injuries increased 5-fold over a 9-year period. A recent study evaluated how often pubic hair grooming occurs and how likely it is to result in some sort of injury. Using a survey, the authors evaluated grooming behavior in US men and women. The hypothesis was that both the grooming instrument and grooming frequency would be associated with injury. 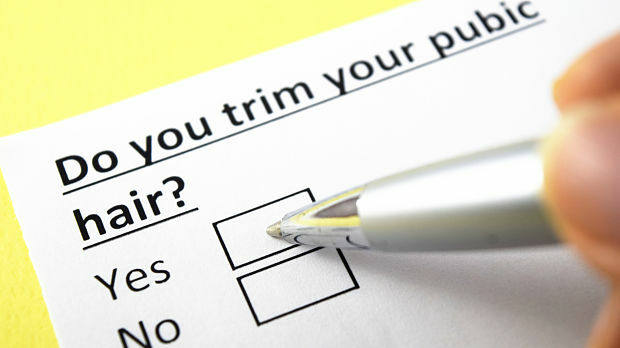 Over 5,000 adults reported their pubic hair grooming practices. The study looked at demographics and frequency of injury as well as the instrument used most often (nonelectric blade, electric razor, wax, scissors, laser hair removal and/or electrolysis, or other), who performed the grooming (self, partner or friend, or professional), position of grooming (squatting, sitting or lying on back, or standing), how grooming was visualized (direct visualization, using a mirror, and/or without any visualization), and the number of times the participant removed all their pubic hair. The results showed that 25% of the patients reported some sort of grooming-related injury, and injuries were more common in women. Cuts, burns and rashes were the most frequent injury, and a small percentage of those injuries required treatment with antibiotics or surgery. Men were most likely to injure their scrotum, and for women the most commonly injured site was the pubis. Risk factors for injury included removing all pubic hair multiple times, and hairier men had an increased risk for injury. No particular instrument was more likely to cause injury, but waxing seemed to be protective for high-frequency injuries in women. A serious injury was rare, but the severe injuries were associated with groomers who lie on their back and who have others groom their pubic hair. The authors conclude that pubic hair grooming is a common practice, and injury is relatively common. Though the types of injury are usually minor, this high rate of injury emphasizes the need for safer grooming practices.